Google and China’s war has been going on since mid-January when Google refused to continue censoring search results in the country. Now though, Google is rumored to be pulling censorship this month- something the Chinese government’s IT ministry describes Google’s plans as “unfriendly and irresponsible” and warning that the company will have to bear the consequences of its actions. ine-width: 0px; outline-style: initial; outline-color: initial; font-size: 12px; vertical-align: baseline; background-image: initial; background-attachment: initial; background-origin: initial; background-clip: initial; background-color: transparent; background-position: initial initial; background-repeat: initial initial; padding: 0px; border: 0px initial initial;">Their clash of values has been well-publicized, with Google halting the release of certain Android phones and even canceling a developer event over there. Li Yizhong, a Minister of Industry and Information Technology in China, responded with "if you don't respect Chinese laws, you are unfriendly and irresponsible, and the consequences will be on you" when asked about how China will retaliate if Google stayed true to its word. We’re terribly sorry for the recent downtime the site has incurred, but we’ve been hard at work to bring the site back up. We’ve had issues with a few things including hosting issues as well as a bit extra, which I’ve outlined in our forum, but we’re back now and we’re working hard towards being better than ever before. Keep your eyes peeled for a forum update within the next few days that will include a section for average members to post news for the website in. That news can be taken and posted up by a staff member, giving full credits to the user, of course, and will be a great way that the community can take part in making the site a better place. Also, it’s HIGHLY advised to enter the Brewology Network through www.Brewology.com instead of using one of the mirrors like WiiBrew or PSPBrew because we’re going to be adding news posts that are specific to the Brewology page itself about the latest tech trends and what-not and the only way to see such information is to enter the site through www.Brewology.com. Doing this will also filter the news from every aspect of our site into one convenient page for you to view! So please, if you haven’t already, make sure to add the Brewology page to your bookmarks or homepage or just plain enter it in when accessing the site. Thanks for everything folks. Again, sorry for the downtime, but welcome back to the Brew! Configurable USB Loader v49 Released! Override some theme options in base config.txt. Platform holder Nintendo is to back the appeal of prosecutors who have said they intend to challenge a recent court ruling from a French judge in favour of Flash card manufacturer Divineo. Upon dismissing the case on Monday, the judge accused Nintendo of deliberately locking out developers from its range of hardware, adding that it should adopt a system more like Microsoft’s Windows where anyone is free to develop applications that run on the OS. Divineo has already been subject to a successful prosecution in Hong Kong, where it is still prohibited from manufacturing, marketing or exporting its DS products. It was also at the time ordered to pay Nintendo €45m in damages – a sum that the platform holder has yet to receive. “Nintendo is extremely disappointed with the decision by Paris’ Criminal Court to find Max Louarn, his company, Divineo, and other co-defendants not guilty in the criminal case involving the sale and distribution of game copying devices,” a statement sent to MCV explains. vashgs has released an update to Tanooki, a level editor for New Super Mario Bros Wii game. – Adding new features and bug fixes in tools Tanooki. – Introduction of editor backup Tanooki. – Introduction of graphics, scrolling and intelligent object modifier. “Many of us are planning on attending 26C3 in Berlin in a few weeks — we hope to get a table again in the Hackcenter this year, but no guarantees. We will not be presenting anything this year, sorry! There’s not much new to report with the Wii, and we don’t have anything complete enough to show for the DSi. Also, honestly, I’m looking forward to actually getting some sleep this year and seeing some presentations — I barely emerged from the basement for the last two years. Post a comment if you’re planning on attending. Heriberto Delgado has released a new build of Quake 2 for the Nintendo Wii. It features Wiimote, USB Keyboard and Mouse support along with an onscreen keyboard for those without them. It also features LAN and Internet play and the game’s engine (does he mean data files) can be stored on a SD Card or USB Drive. Quake, if you’ve been stuck in a box wearing a cardboard sign is a first person shooter developed by ID Software. If you want to know more about the game Google it. There is also no mention if this build is based on the original work by Peter McKay who released them here in this forum thread. I’m not seeking credit for the site, but if they are based on Peter’s work he should at least be credited. Anyway, see the features/changlog below. Improved Wii Remote handling (since Q1Rev Release 1). More stable, and more sensitive. A small wrist movement goes a long way. Adjust the sensitivity level with the new “Wii Remote speed” option, next to “Mouse speed” in Options in the Main Menu. New On-Screen Keyboard, with access to most (if not all) keys of the US keyboard. Support for the standard Gamecube controller. Switching to “big stack” in key points in the code, allow for more stable, more smooth movement in the engine. The engine can be started from either the SD card slot in front of the Wii, or an USB memory stick plugged in any of the USB ports in the back of the console (an improvement since Q1Rev R1). Heriberto Delgado has released a new build of Quake for the Nintendo Wii. It features Wiimote, USB Keyboard and Mouse support along with an onscreen keyboard for those without them. It also features LAN and Internet play and the game’s engine (does he mean data files) can be stored on a SD Card or USB Drive. Improved Wii Remote handling. More stable, and more sensitive. A small wrist movement goes a long way. Adjust the sensitivity level with the new “Wii Remote speed” option, next to “Mouse speed” in Options in the Main Menu. New On-Screen Keyboard, with access to most (if not all) keys of the US keyboard. Replaces the old, defective input method in use in Release 1. The engine can now be started from either the SD card slot in front of the Wii, or an USB memory stick plugged in any of the USB ports in the back of the console. Experimental, untested support for USB keyboard & mouse. Heriberto Delgado has ported the QuakeWorld Client to the Nintendo Wii. This client will let you connect to any QuakeWorld server (since the original servers protocol hasn’t been used in over 10 years) and has full network support, supports downloadable maps and connects with virtually any QuakeWorld server in the world. The engine is a feature-complete implementation of the QuakeWorld 2.40 engine. Unlike Q1Rev, there are LOTS of servers around the world that are able to accept this engine as a client for netplay. Be aware, however, that some of them might need a modified version of the communications protocol. Experiment with as much servers as you want in order to get the desired results. This client is compatible with the latest releases of Quake 1 and Quake 2. Japan honored a man who many would say single-handedly changed modern video gaming all by himself. 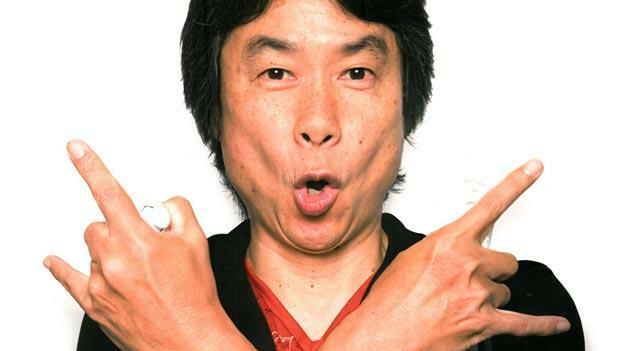 Shigeru Miyamoto was presented with the Lifetime Achievement Award in Japan for his revolutionary approaches and renovations to the video gaming industry. Chances are you’ve heard of this guy before. His name is plastered all over the place in the Nintendo community. Why? He’s the brains behind the meat and potatoes of the Nintendo lineup. Donkey Kong, The Legend of Zelda, Super Mario – the gearhead that orchestrated all of these franchises from the ground up is being honored in a big way and boy does he deserve it. Miyamoto, a man that didn’t come from riches, didn’t graduate from the finest college, and didn’t outright steal his otherwordly and sometimes outrageous ideas for video gaming certainly deserves this great honor. It goes further though! The Nintendo DS and Wii were honored with the Distinguished Service Award for helping to “further expanded the horizons of gaming culture”. Talk about one happy time for Nintendo… but in all fairness, the company and the man himself are truly deserving of such awards. Here’s a Small Mod of a Old Program System Setting’s Replace Used Mainly when you’ve uninstalled your System Menu and have tried to re-install it only to find your WiiMote doesn’t connect and your system setting’s have been removed. Which kill’s Wiimote doing so. IOS-Check to See if the IOS is Installed Correctly or Stubbed. The Dolphin Team have released a new version of their Nintendo Wii and GameCube emulator for Windows. Using this emulator along with your “legal” backup collection you can enjoy most of your games on your PC. It even supports the Wiimote if you have a compatible bluetooth. Added the Triforce baseboard’s SI and EXI devices (and JVS I/O), and media board behavior.